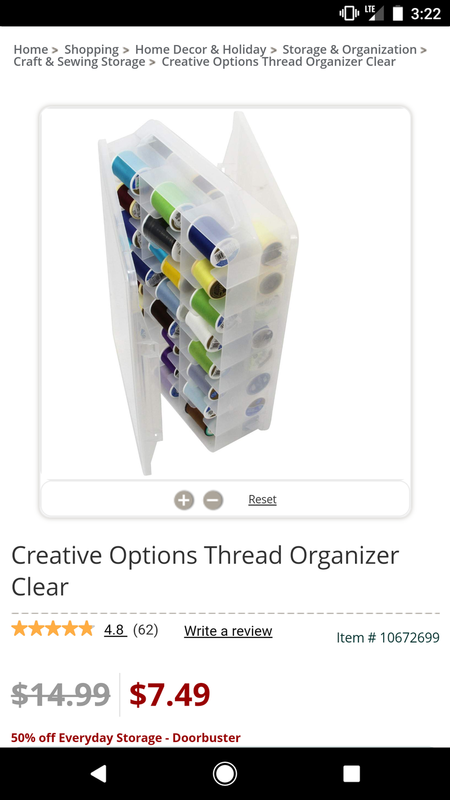 Jo Ann’s has our favorite thread car organizers on sale for $7.49. I need to keep an eye out for a deal on these to get a few, but I haven’t seen them for the $5 they used to be. PS. I think their sale ends today. $2 shipping too.